A few weeks ago I came across a lovely girl named Érin through Instagram. 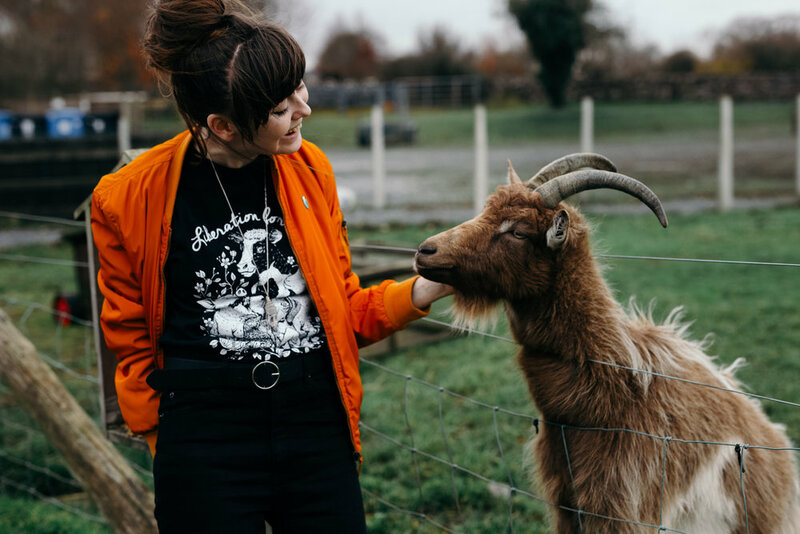 I happily sent her a VeganVeins t-shirt for a collaboration and she made an incredible blog post with beautiful photos here. I had the pleasure of interviewing her about what it’s like being a vegan in Ireland. I hope you enjoy reading her answers as much as I did! All the photos included throughout this blog post are from Érin’s blog/Instagram. Hi Érin, thank you so much letting me interview you for my blog. Can you tell us a little bit about yourself? My name is Érin and I live in a little city by the sea in the west of Ireland where I work on artistic projects and submerge myself in research and activism. Right now, I’m taking some time to learn about herbal remedies and vegan wellness. I also write a blog which looks at ways in which we can live an animal, people, and planet friendly life. I like to use this to collaborate with vegan friendly people who give back in sustainable ways by writing themed posts about the things we experience in our day to day lives. What did your vegan journey look like? I had been vegetarian for a few years, then fell back into eating meat for a year or so until one day I watched a YouTube Video about animal ethics. For me, becoming vegan was an urgent response to a TED Talk (https://www.youtube.com/watch?v=o0VrZPBskpg&vl=en ) by Melanie Joy on her concept of ‘carnism’. At the same time, I had watched documentaries such as Earthlings and as I began my MA degree, I wanted to align my vision around sustainability and human rights with what I was putting on my plate. 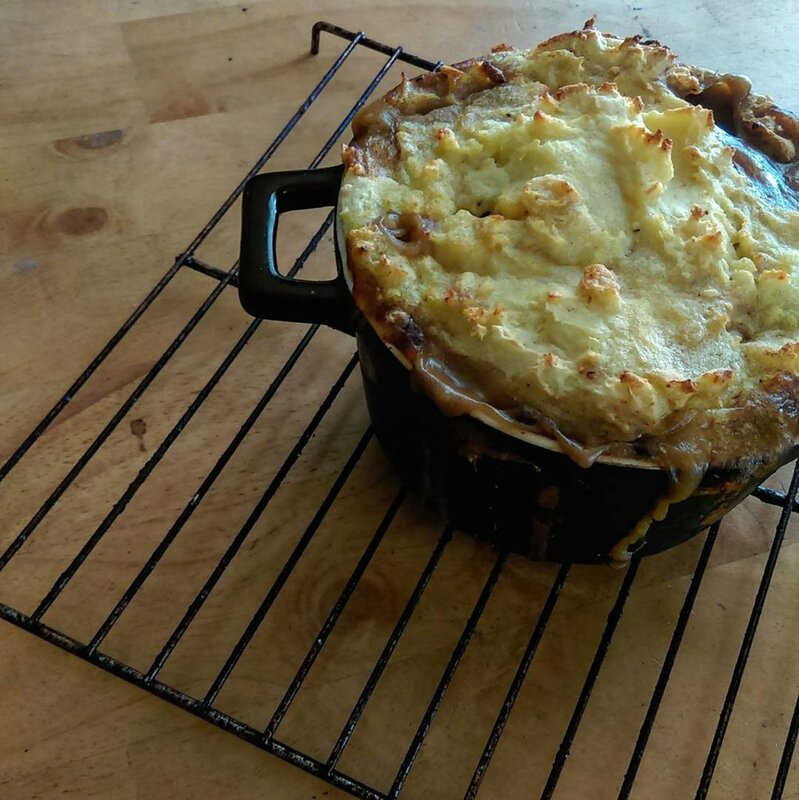 I had long been doing it with my clothing choices; opting to buy second hand and ethically produced, so it was important to me that my food reflected the same values. It was always, first and foremost, about the animals but environmentalism and sustainability require us to look at our consumption choices if we want to care for the planet. Veganism is a knowledgeable and ethical path towards this which has the potential to create a sustainable and caring planet in the future. What’s it like being vegan in Ireland? For me, being vegan in Ireland is incredibly liberating and I am fortunate enough to live in a city with so many wonderful vegan options. One of my favourite cafes and social enterprises in Galway, The Temple Café has a wide selection of vegan choices available and it offers a pretty impressive hot chocolate menu for the cold winter days. Another favourite, The Kitchen has a brilliant vegan fry and many other great vegan dishes. McCambridges always makes delicious hot drinks and stocks raw cakes from a local vegan baker Bliss Bites. For my own cooking, I get organic veg from a local farm called Green Earth Organics. I’m very lucky to have many lovely things to choose from right in the city. We also have Dublin Vegfest who organizes two yearly vegan festivals in Ireland! With regards to Ireland over all, sometimes it can be difficult in small towns and villages to access the newest products, but I wouldn’t like to promote a division that views the cities as more educated in veganism. 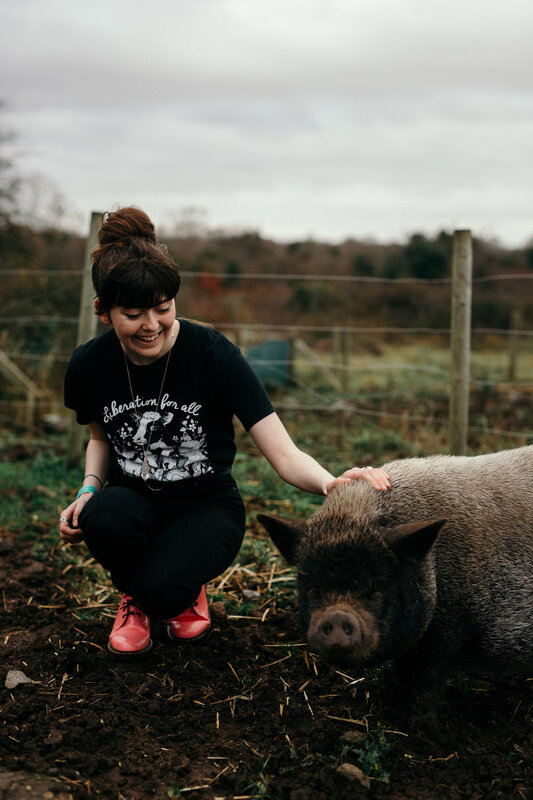 It’s apparent that people of all ages and from all backgrounds, socio-economic groupings, ethnicities, and beliefs are working towards veganism in Ireland. That’s my experience from the events I’ve attended and the outreach I have seen across the country. It’s not all easy though. I would say we have a difficulty with how the media portrays veganism in Ireland. It is seen as a fad and has been mocked on television. However, sanctuaries like Eden Farmed Animal Sanctuary have worked very hard in educating the public with their campaigns. Last year, I was so amazed to see vegan billboards pop up across the country and at bus stops. Also, our supermarkets are getting vegan versions of popular foods, and we’ve many great health stores catering for vegan customers. As for the outreach and activism scene in Ireland, the activists here are working in the context of a country with a long history and tradition of farming and dairy production. Many activists will be from, or closely connected to, farming backgrounds, and it adds to their motivation to create a sustainable alternative. Many farmers are in farming because of a sense of duty to their ancestors, and as it is their livelihoods, it’s a delicate system to navigate, but the tide is turning here as people are becoming informed about what veganism really is, and why so many people are motivated and driven by it. Have you experienced being vegan in any other countries? Yeah, this summer I was in England and the amount of vegan choices in the supermarkets there is astounding! I was blown away by both the variety and value of the foods available and it made me very excited for how fast veganism is expanding. I would like to travel to some other countries and see what it’s like when I can afford it! I’m really interested in travelling and working with vegan companies, connecting with activists and helping in animal shelters so I would hopefully get to submerge myself in other vegan foods and products through doing that. What are some of your favourite Ireland vegan brands? More and more Irish vegan brands are popping up, and it’s so wonderful to see. Nobó make a great vegan ice-cream and chocolate, Pit Putty create a vegan putty deodorant that smells so good while working wonders, and Galway based company The Foods of Athenry create vegan cookies, chocolate biscuit bars and treats that are really delicious. 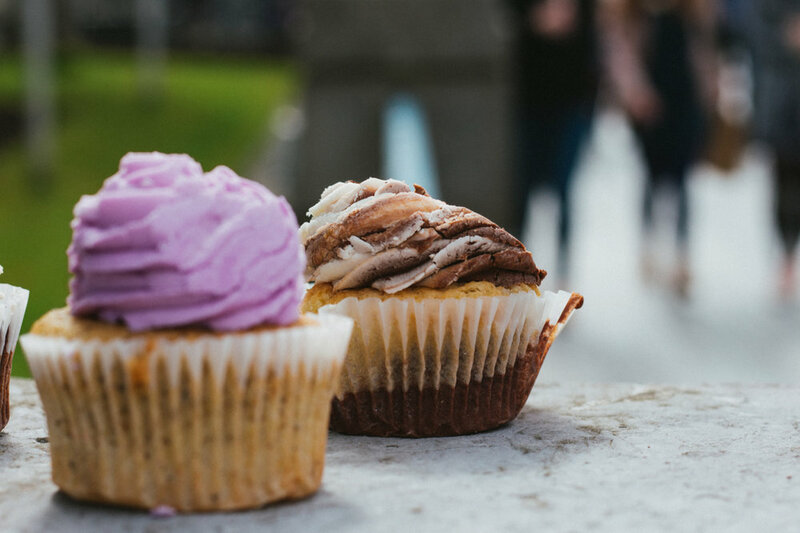 There is also a vegan bakery in Dublin called Buttercream Dream and it’s one of the greatest little businesses on this planet. There are other great Irish brands like Chocolatey Claire, Solaris Tea, and Kinvara Skincare. Plus we get great brands from all over the world which I often chat about on Instagram. Can you share a few of your favourite and staple vegan meals? I make lots of chilli, curries, and stews and easy meals you can whip up in a pot. I have a great vegan lasagna recipe and when I need a quick dinner I pan fry some tofu, peppers, broccoli and toss it in rice noodles or rice. For convenience and comfort food I make vegan nuggets and of course pizza, because who doesn’t love pizza? Hummus isn’t a meal, but to me it is pretty close. Do you have any other vegan friends or family in real life? Are there a lot of vegans in Ireland? I am happily surrounded by vegans in Galway, plus I work in a store which has lots of lovely vegan products and many vegan staff members so we can share ideas and chat about the latest discoveries. There are activist and outreach groups like Oppressed and Unheard, and lots of events such as vegan potlucks which are run by a lovely vegan couple who have their own seasonal vegan café ‘Bláth na Gréine’ on a nearby Island. I am glad for social media though as I have connected with incredible activists online who are particularly good to chat to when you’ve exhausted the other humans in your life or when you need a little motivation and support. Artistic expression, sustainability and equality for all - and I am passionate about kindness, it is so important to be kind. It would be a world where each person is in tune with empathy for others, I think if we create a world with that as our goal, so many issues such as sexism, racism, ableism, homophobia, and speciesism can be addressed. Who are your biggest inspirations in life? My family and the people I keep in my life inspire me. My friends who make art and those who I campaigned alongside for reproductive rights in Galway motivate me and give me hope for the future. They are some of the strongest people I know. Since I was a small child, I’ve been inspired by the darker and more ethereal parts of life; in particular horror or fairy tales. From well-known people, I continuously look at strong female artists for inspiration such as Stevie Nicks, Lady Gaga and Debbie Harry. I also like Prof. Brian Cox, David Bowie, Wes Anderson and Disney Villains. I just like asking everyone this question - what are your favorite books? A few of my favourites are Alice in Wonderland, The Catcher in the Rye, Wuthering Heights, The Book Thief, To Kill a Mockingbird, Human Universe, and the poetry of Sylvia Plath. Right this moment I am reading Do Androids Dream of Electric Sheep?